We are a team of small truck and auto collision repair specialists located in Dodge City, KS. Founded in 1974 by the current owner John Trabert, we have provided southwest KS with high-quality major collision repair at affordable prices. To ensure continued service well into the future, John's Body Shop, is now a two-generation shop with Mike Trabert, John's son.Read more about John's Body Shop in Dodge City, KS. John's Body Shop hires trained technicians and auto body mechanics in the Dodge City, KS area who are willing to stay on top of the latest technology in the automotive industry through ongoing schools and training. The shop takes pride in being up to date, clean and as efficient as possible to get your car, truck or SUV in and out as quickly as possible. Read more about our Staff and Mechanics. If you experience a collision, John's Body Shop, would like to take the worry out of your repairs. 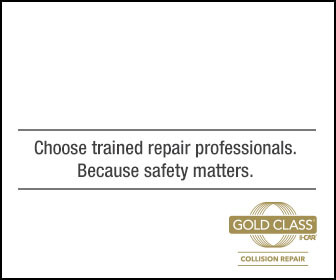 We are your major collision repair specialists. From frame to unibody straightening, to the best in baked-on finishes, the technicians at John's Body Shop, can give you top-quality repair, restoring your vehicle to "like-new" condition. If your vehicle is in need of any of the following, stop in and seeMike and his staff. John's Body Shop, is 10,000 square feet of the latest in unibody and frame equipment to return your vehicle to its pre-accident condition. Your car or truck will be painted in our Nova Verta Downdraft paint booth for the best in long-lasting baked-on finishes. Read more about our Services.